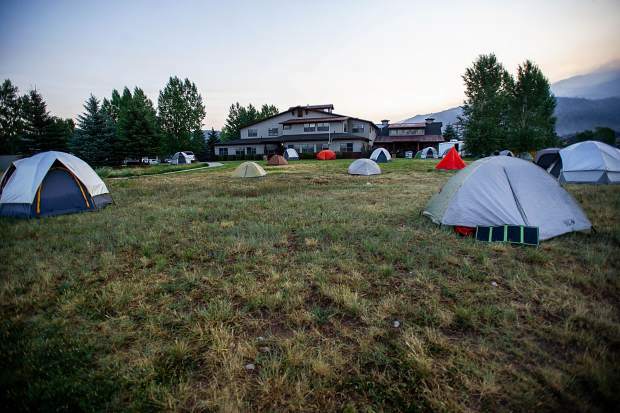 Tents are pitched outside of the Eagle County Community Center by the incident management team of the Lake Christine Fire on the morning of July 6. The center was dedicated to the firefighting effort in the early days. Eagle County government estimates it spent in excess of $500,000 to help fight the Lake Christine Fire and that doesn’t include the extensive labor and expenses accrued by the Sheriff’s Office. 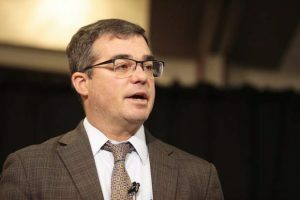 In a report to the county commissioners Tuesday, County Manager Jeff Shroll said preliminary estimates show 165 staff members played some role in working on the fire that affected Basalt and El Jebel. They worked about 4,200 hours on issues related to the fire, he said. Pay and overtime are two big expenses, he said. The county also dedicated the Eagle County office building and community center in El Jebel to the initial fire incident management team. Offices were temporarily closed and the grounds were filled with tents of firefighters. Shroll didn’t say when the Sheriff’s Office expenses would be added to the county’s expenditure. It is unknown at this time how much of the expenditure Eagle County will recoup from the federal government. The feds recently estimated the total cost of fighting the Lake Christine Fire at $13 million so far. It consumed 12,588 acres and was 90 percent contained as of Tuesday evening. There were 313 fire personnel working on the fire as of Tuesday, but demobilization was underway as containment grew.